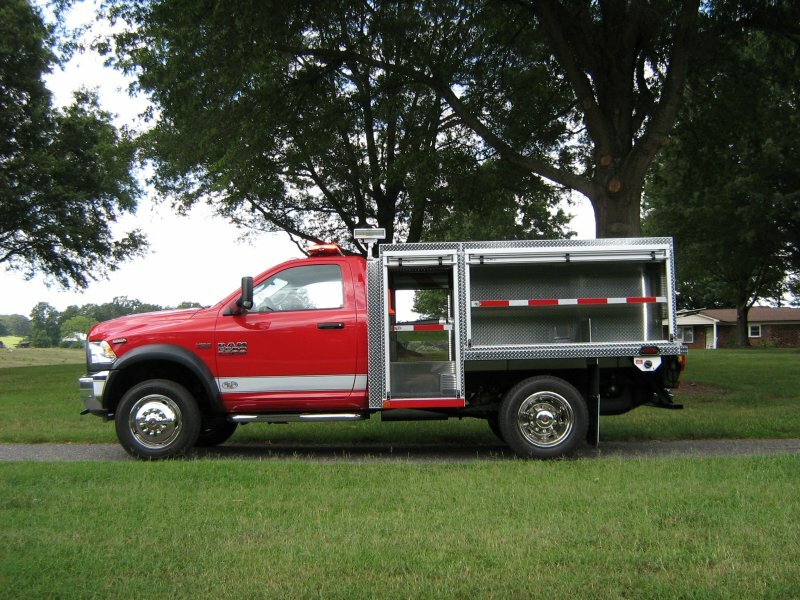 Built on a Ford or Dodge chassis with gas or diesel engine. 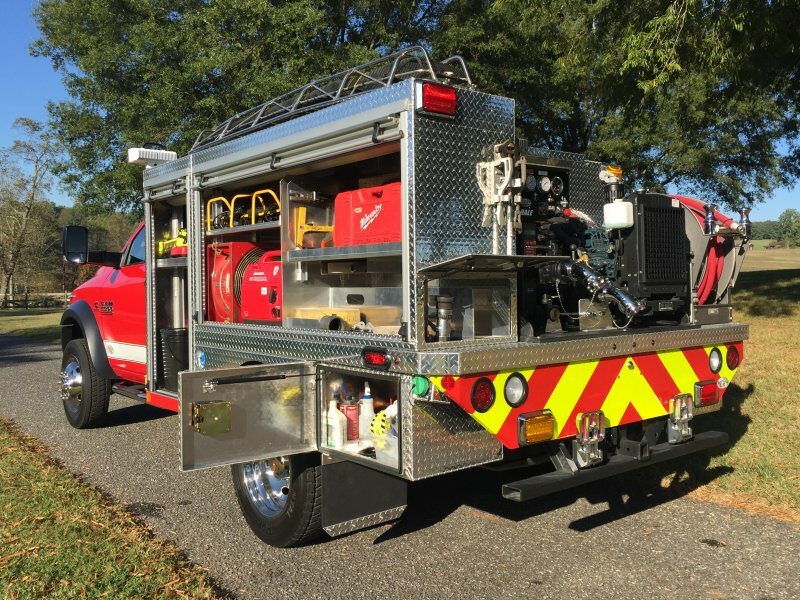 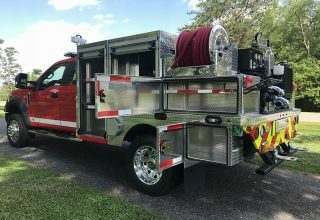 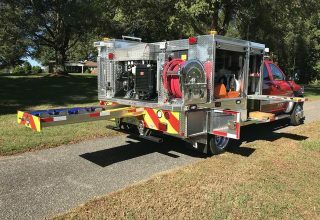 This unit comes standard with our totally aluminum 110” x 96” flat bed mounted on the chassis with one 36” x 48” x 20” curb side compartment and one 36” x 78” x 20” driver side compartment, all having heavy duty continuous welds, a storage area for rakes, shovels, etc. 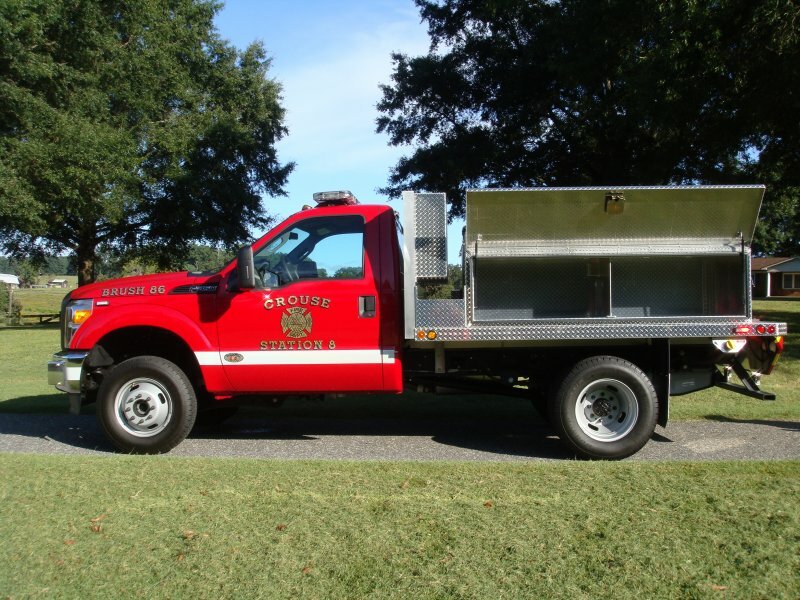 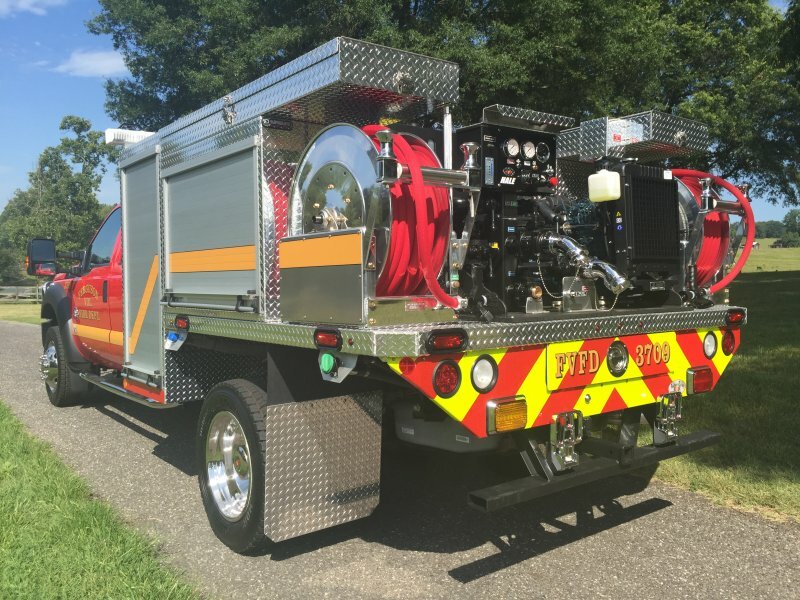 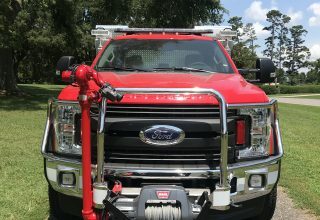 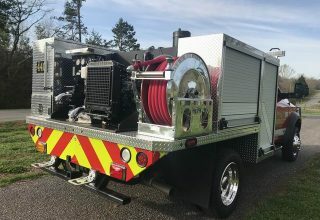 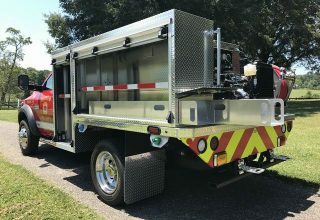 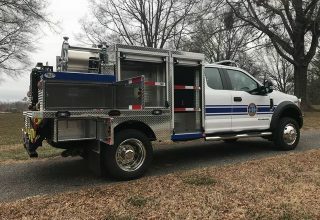 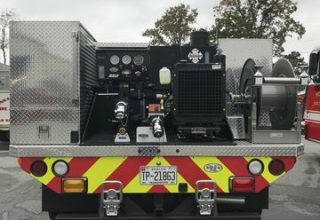 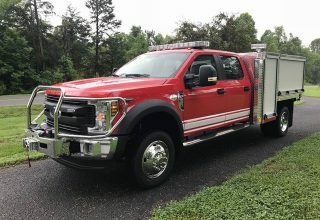 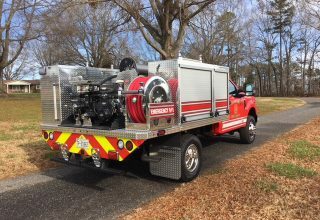 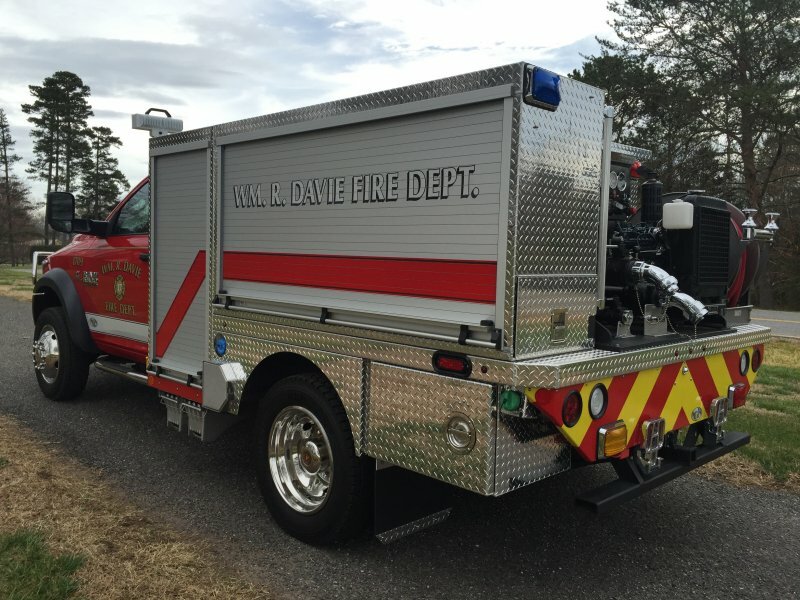 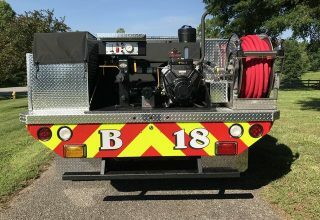 above tank, enclosed pump house, access walk way, 300 gallon Poly tank with a Lifetime Warranty, custom console in the cab that houses emergency lights and siren control and the pump shares the chassis fuel tank.